Fortnite Season 3 is upon us and brings with it a brand new Battle Pass. In this guide to Fortnite Season 3 we'll detail everything that comes with it, including all the loot available in the Battle Pass, the tiers in Fortnite Season 3, and more. Fortnite Season 3 is expected to start on February 22 and run for two months. For more help, head over to our Fortnite Battle Royale guide. Over there you'll find useful info on how to improve your play and become formidable in the world of Fortnite Battle Royale. When Does Fortnite Season 3 Start and end? Fortnite Season 3 began on February 22, following the release of the V.3.0.0 update for the game. Fortnite Season 3 will run for approximately two months, ending on April 30. As well as bringing improved building to Fortnite, the V.3.0.0 patch for Fornite also adds a 60FPS mode (as default) to Xbox One, PS4, Xbox One X, and PS4 Pro. This mode replaces the Uncapped Mode the game had before, but can be turned off if players prefer 30FPS with higher quality visuals. Other changes include a brand new orchestral score, plus a brand new hand cannon and hoverboard! The full patch notes can be found on the official Fortntie site. The Fortnite Battle Pass is a way to get exclusive in-game loot by playing games of Fortnite Battle Royale. By playing you earn new tiers (which can also be bought) which then give you access to even more loot. Fortnite's Season 3 Battle Pass costs 950 V-Bucks (1,000 V-Bucks costs $9.99). A New Battle Bundle, costing 2,800 V-Bucks ($24.99), includes the Battle Pass and 25 tiers. V-Bucks can be bought using real world money or earned through gameplay. All Season 3 Battle Pass purchases will immediately give players in-game loot and rewards, including the new Mission Specialist Outfit. The more you play, the more tiers are unlocked and the more rewards you earn. Can I Earn Cosmetic Rewards Without Buying the Season 3 Battle Pass? If you don't want to buy the Season 3 Battle Pass you can still play and unlock tiers. Each time you unlock a new tier you'll get a bunch of reward items, but these are fewer than Battle Pass owners will receive and usually not quite as good. If you choose to buy the Battle Pass later, you'll immediately receive all the Premium rewards in the tiers unlocked. How Does Season 3 Battle Pass Compare to Season 2's? The Fortnite Season 3 Battle Pass is bigger than the Season 2 pass, offering 100 tiers (30 more than Season 2's Battle Pass) and 76 loot/reward cosmetic items (up from 46 offered in Season 2). Epic has stated that players will be able to complete the Fortnite Season 3 Battle Pass in the same amount of time it took to complete Season 2's: approximately 75-100 hours. If you don't have time to unlock all the tiers, new tiers can be bought for 150 V-Bucks each. Replacing Season 2's Battle Pass daily challenges are new Weekly Challenges. Epic has promised a new set of seven challenges each week, with those challenges sticking around until the end of the season. This means that players who buy the Season 3 Battle Pass late can still access all the challenges. You are able to complete four out of seven weekly challenges to unlock rewards. Once of the weekly challenges will require you know the Fortnite Ice Cream Truck Locations. Turbo Building - Hold down primary fire and continuously place the selected building piece. 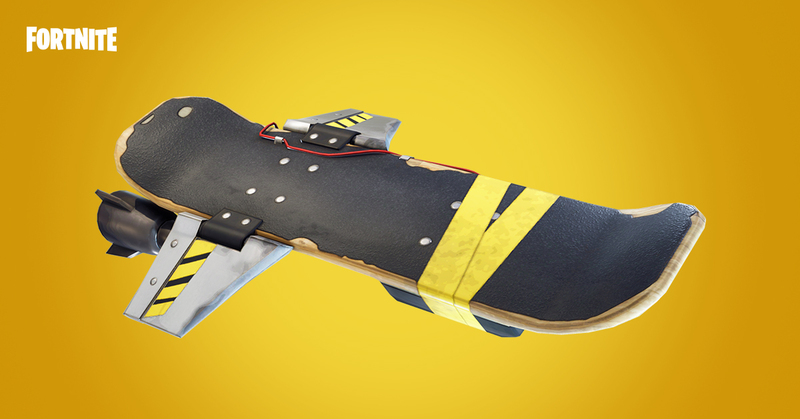 Epic says this will be very useful for "defensively building walls around you and sprinting up ramps while building them simultaneously." Automatic Material Swapping - Automatically switch to another material when your current supply runs dry, if chosen in the in-game options. Build Through Stuff - Epic has changed the building system to allow the placement of structures right through large objects. Epic says this means you "can now build pretty much anywhere at anytime!" Switching Building Pieces (Battle Royale only, for now) - Epic has changed the network code so cycling through building pieces is a lot faster. Alternatively, you can head over to our Fortnite skins page, where we'll list out all the very best, most stylish outfits you can possibly purchase for your Battle Royale character, or our Fornite V Bucks guide, for info on how you can earn V Bucks as quickly as possible.